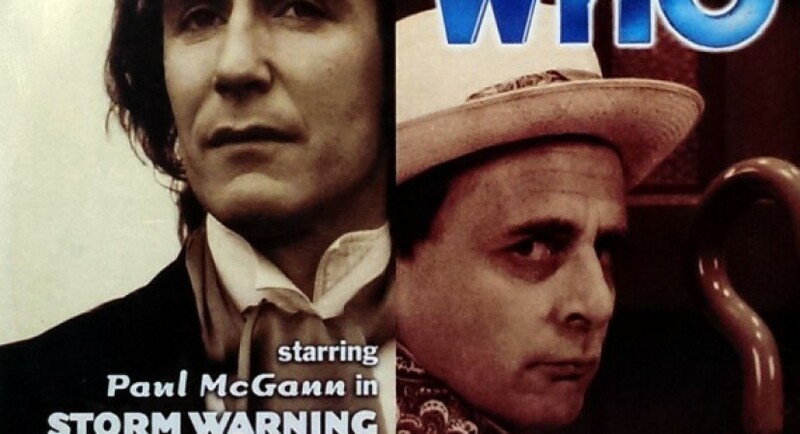 Originally part of a double-feature CD insert in Doctor Who Magazine #300, this audio was rebroadcast in January 2016 as a free podcast on the Big Finish website. Like many early Big Finish freebies, it’s a bit whimsical and lightweight, recreating an old fan-made AudioVisuals story, Vilgreth. It’s essentially a half-hour Short Trip, with Sylvester McCoy narrating and acting the Doctor, Nicholas Briggs performing as the slow-witted but endearing giant Vilgreth, and Alistair Locke as the lizard official trying to bring Vilgreth to justice. It’s so short that any sort of plot summary would spoil most of it, but essentially it’s a sweet little teatime story of the Doctor encountering a mysterious, lumbering spaceship, uncovering the mystery, helping solve a problem, and leaving on a melancholy note. Sylvester McCoy is really very good at telling this sort of story, and Nicholas Briggs gives a comedic character a serious side behind his laboured speech. Don’t take this one too seriously, or you’ll start nitpicking the science. The Doctor also has reason to be troubled by the ethics in this tale. But there’s some interesting SF concepts packed into this bite-sized appetizer of an audio. Credit where due: I learned about the AudioVisuals connection from the Discontinuity Guide, which explains some in-jokes and references in this story.